Unsure on where to holiday in July? Well we are here to try help you to decide which countires are the best to visit during this month. Be it the weather or which festivities are going on we have compiled our knowledge from our travel experts to put together a list of destination for you to explore. The month of June is the start of the dry season, this means during this month the country is at it’s best weather wise and wildlife sightings are at a year round high. 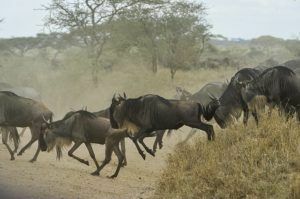 ‘The Great Migration’ in which hundreds of wildebeest make the journey north towards Kenya creating a hugely spectacular occasion as they try survive the treacherous journey avoiding the awaiting crocodiles and lions. Tanzania is also home to the spectacular Kilimanjaro one of the wonders of the world and a must see if you visit this country. Sitting over the Tanzania’s northern plains – being the largest peak in Africa you can challenge yourself to climb to it’s summit on one of our amazing Exodus tours who specialise in activity holidays and are sure to take you on an unforgettable adventure. Now one of the main attractions to this stunning country is the wildlife and June is known to be the best time to spot ‘The Big Five’ (elephant, lion, leopard, buffalo, rhino) the most popular safari park is Serengeti National Park in which we can organise you a safari package with one of our trusted tour operators. Not only is the wildlife thriving on the lands, the coastal areas of Tanzania are home to idyllic beaches and coral reefs full of marine life specially known for the whale sharks in which you can spot in this area. Head to Zanzibar in which the warm waters of the Indian Ocean are at their warmest in June making it the perfect time to take part in a number of water activities such as snorkelling on these colourful coral reefs. Summer in Canada is warm and dry, compared to it’s harsh winters making it the ideal time to visit this stunning country – as well as the weather the wildlife also comes out from hibernation to enjoy the warm climates, you can expect to see bears relaxing by the lake side among other amazing animals in which call Canada their home. June is also the month in which what has been called the ‘greatest outdoor show on Earth’ takes place being the Calgary Stampede. An annual rodeo which runs for more than a week you can expect exhilarating rodeos, cowboys, huge barbecues and a huge parade to celebrate this age old tradition. Canada is a place that is easy to fall in love with and after one visit; it’s likely to be followed by many more.There are lots of ways to see Canada, from city breaks, train journeys that take you from coast to coast, skiing holidays during winter months and perhaps the best way of seeing a little bit of everything is to look at the options for escorted tours to Canada. Cities – Although not the capital of the country, Toronto is the biggest of the Canadian cities. With an impressive cityscape dominated in the sky by the CN Tower (which was once the highest tower in the world) and perched aside Lake Ontario (one of the Great Lakes) this can be a great place to start getting acquainted with the country. Situated a little further north is Ottawa, the capital of Canada and further north still are the cities of Montreal and Quebec which boasts French as the official language.Travelling east you will encounter the cities of Winnipeg and Calgary before finally landing at Vancouver on the Pacific coast. Vancouver is a picturesque city with lots to see and do and is often used as a base for Canada tours that explore some of the wilder areas of the country. Mountains – There are plenty of mountains to explore right across Canada from east to west, with perhaps the most famous range of all being the Canadian Rockies. Many escorted tours to Canada are likely to feature these breathtaking mountain peaks, beautiful valleys, lakes and rivers. Very often you can arrange a train journey that will take you from coast to coast and carry you through the best of the mountainous scenery. Wildlife – As well as being famous for its sweeping landscapes, Canada is also well known for its huge range of wildlife, from grizzly bears and mountain lions to moose, polar bears and the famous Canada goose. These are just a few of the species you might encounter during an organised Canadian tour.Whatever time of year you make your trip, there is always something to enjoy in this wonderful country, although you really must remember to wrap up warm during the winter months! With so much to see and so much to do, you will never get bored during your holidays to Canada. July in the United Kingdom is slap bang the middle of summer, therefore you can enjoy the country without having to worry about the weather. The United Kingdom packs 4 different countries into its borders which mean that visitors will have a wealth of options during any escorted tours to Britain. Each country, although sharing many common bonds also has many uniquely interesting factors, flavours and cultures to explore as you visit each one. England, Scotland, Wales and Northern Ireland make up the United Kingdom and in London, Edinburgh, Cardiff and Belfast, each has an impressive capital city. Tours to Britain might consist of a string of city breaks, including the capitals, with plenty of sights and history to absorb during each leg of the journey. Alternatively, you may be hoping to see some of the UK’s famous countryside and there are plenty of highlights that could be included. Wonderful stretches of coastline, rolling hills, dramatic mountainous landscapes, lakes and forests provide wonderful backdrops for all Britain escorted tours. 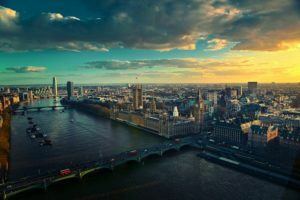 Despite the United Kingdom being relatively small compared to some countries, there is still a lot to see and do during a visit or holiday.London – Perhaps one of the biggest UK attractions is the capital city of London. There is so much to take in here that you could easily spend a week or so making sure you see everything. From historical buildings and landmarks to fantastic shopping and great entertainment, London could be a holiday all on its own! The Rest of England -There are plenty of other English cities and towns (with far too many to list here) to enjoy if city breaks are your main concern but if you want to experience some country life during your group tours to Britain you certainly won’t have a shortage of options. Ancient monuments and sandy beaches give way to green valleys and hills in almost every direction. In the north west of England, there is the world famous Lake District, in the south west, the Cotswolds.Castles – If you love castles, you won’t be disappointed in the United Kingdom. Some of the highlights are Caernarfon and Conwy castles in Wales, Warwick and Windsor Castles in England and Drum castle and Edinburgh castle in Scotland. Over in Northern Ireland, Carrickfergus Castle is probably the best example. Mountains – When it comes to mountains, you are spoiled for choice in the UK! In Scotland of course there are the Scottish Highlands, which incorporate several different ranges including the Cairngorms and the Grampians. In Wales there are peaks in both the North and South, with the range in Snowdonia dominating the north west of the country and the Brecon Beacons in the south. England also boasts some impressive mountain ranges, including, the Peak district and Lake District as well as the Pennines and Chilterns to name just a few. So, whether it’s sightseeing, shopping or something a bit more adventurous (walking, climbing, hiking, sailing) the United Kingdom, in all its corners, has something to offer everyone. There are many different ways to see the country from hotel breaks, camping trips and of course escorted tours to Britain.